Paparazzi has flown on the southernmost continent: Antarctica. Scientists from the Finnish Meteorological Institute took three modified Funjets to the Finnish Aboa station and brought them back safely after more than 25 flights. 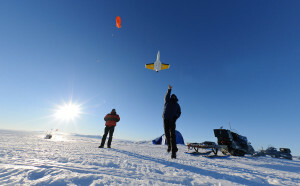 They measured temperature, humidity, pressure, wind direction and speed in altitudes up to 1000m.